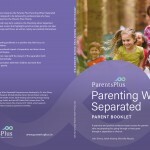 Parents Plus Parenting when Separated Programme – Parents Plus! Family separation can put extra stress on both parents and children and brings new challenges. 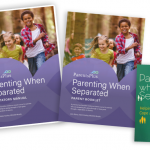 Drawing on international long-term evidence, the Parenting when Separated Programme is a six week course that highlights practical steps parents can take to help their children cope and thrive as well as coping successfully themselves. The Parents Plus Parenting When Separated (PP PWS) programme was evaluated as part of a randomised control trial (RCT) involving 25 individual agencies throughout Ireland and the UK. In total 161 separated parents took part. 82 participants were assigned to the treatment group and were compared with 79 participants in the waiting list control group. They were assessed on measures of client goals, parenting satisfaction, child and parental adjustment and interparental conflict at baseline (Time 1) and six weeks later (Time 2) after the treatment group completed the PP PWS programme. From Time 1 to Time 2 significant goal attainment, increases in parenting satisfaction, and decreases in child behaviour problems, parental adjustment problems and interparental conflict occurred in the PP PWS group, but did not in the control group. These results supported the effectiveness of PP PWS, and demonstrates significant benefits to parents attending. The study has been submitted as a PhD thesis in UCD (Keating, 2013) and was published by Clinical Child Psychology and Psychiatry (Keating, Sharry, Murphy, Rooney & Carr, 2016). A comprehensive Facilitator’s Manual with a full guide and detailed session plans for the six week course. Two Parent Booklets that contains handouts, worksheets and exercises for each parent completing the course. 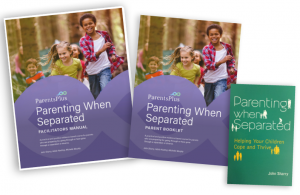 An accompanying book Parenting when Separated that includes background reading for the whole course as well as a Q&A section that addresses 25 common challenges for parents. 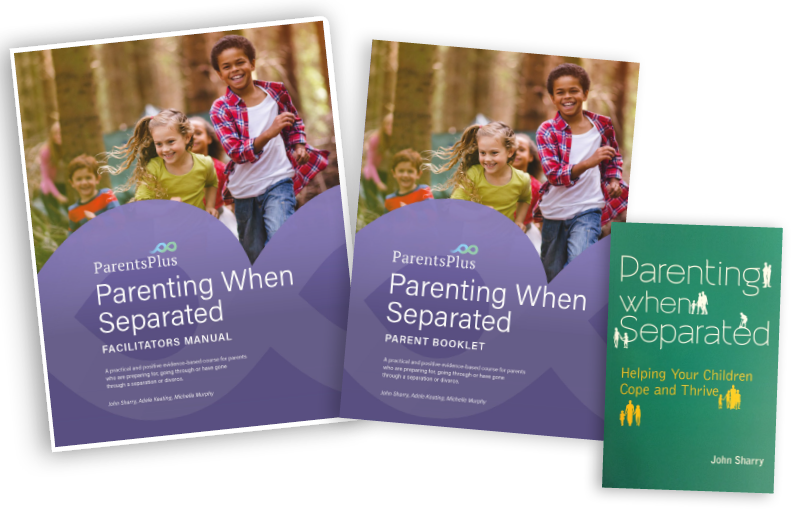 In November 2016, the Parents Plus – Parenting When Separated Programme (PWS) was updated and second editions of the Facilitator Manual and Parent Booklet were published. If you are using an older edition of the PWS Facilitator Manual with the second edition of the Parent Booklet, please note the changes outlined in the document here.